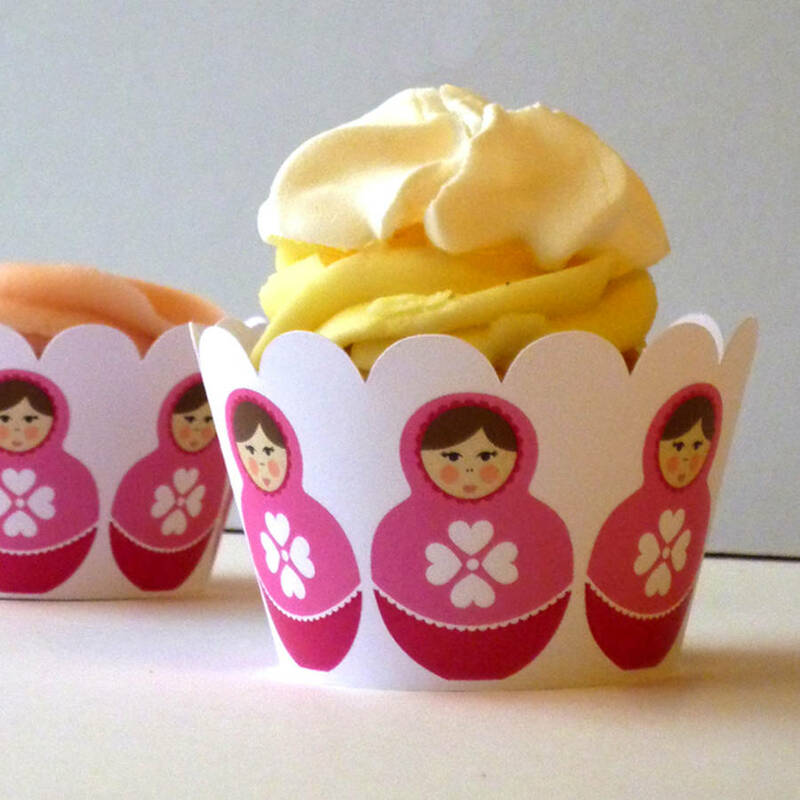 A pack of 12 paper cupcake wrappers with Matryoshka Russian Dolls in a choice of pink or blue. These cheerful cupcake wrappers can be used for any occasion - a birthday party, christening or baby shower. 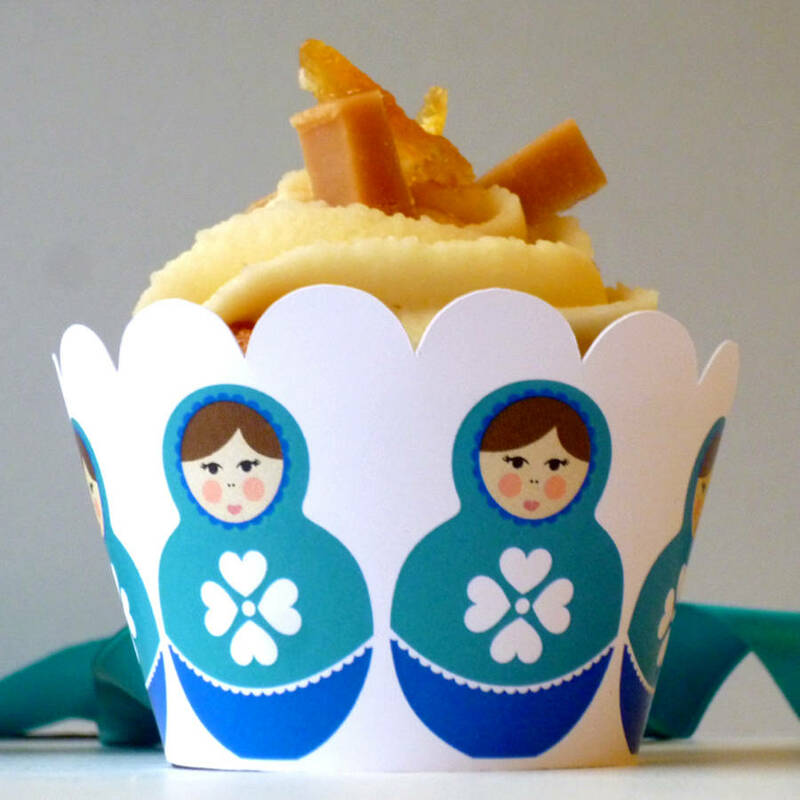 The wrappers are designed to fit a standard size cupcake which has been baked in a paper case. The wrappers have a tab on one side and 3 slots on the other, to allow for slight size variations. Matching baby shower invitations are also available from Ink Pudding. 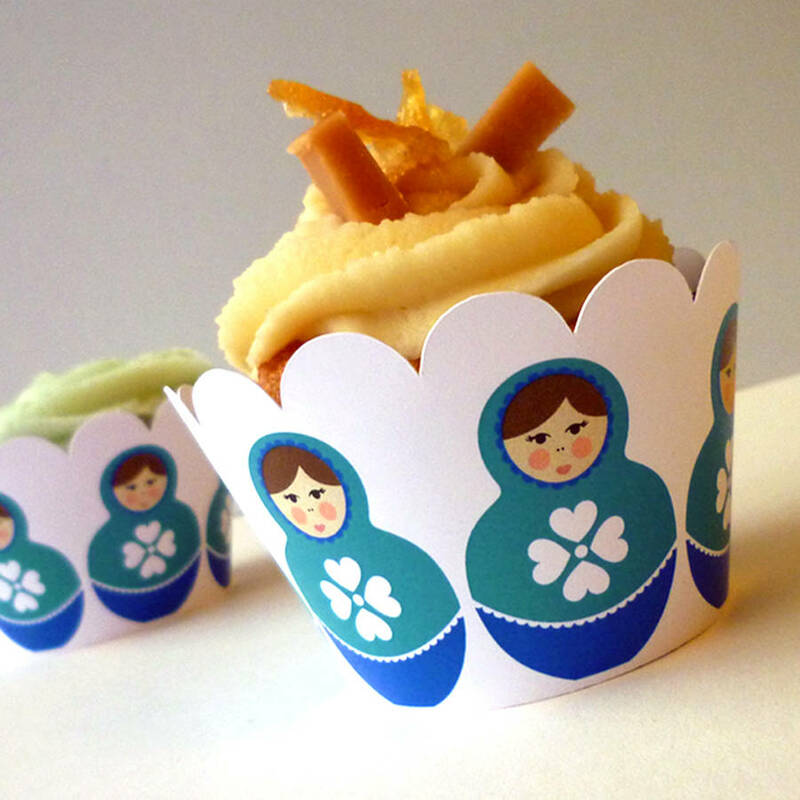 Made to order - If you have any special requests, please don't hesitate to ask. 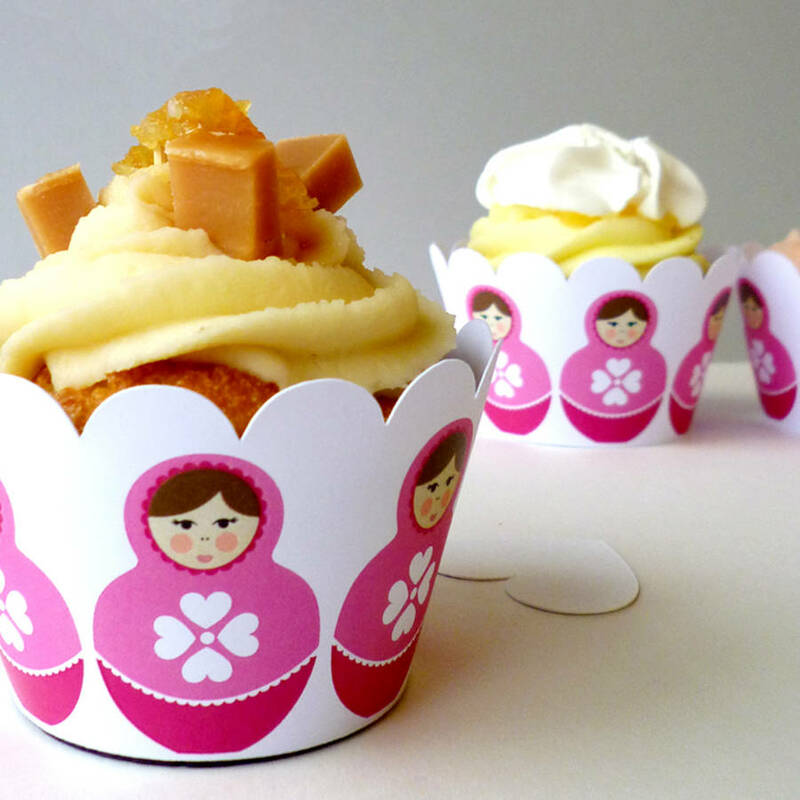 Cupcake wrappers are printed on white card. White on reverse.